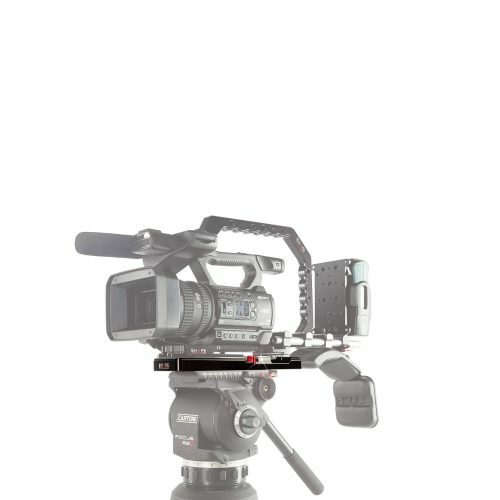 For C300, RED, F3, EX1, AF100/101, etc. 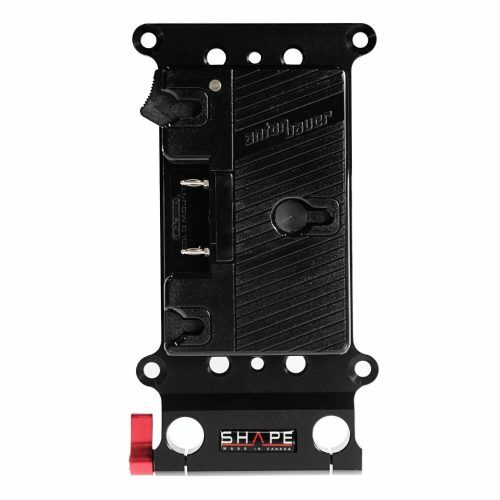 The BP7000 V-Lock Quick Release Baseplate Kit from SHAPE is a unique design created for professional cameras like the Canon C300, the RED series, the SONY F3, EX1, EX3, the Panasonic AF100/101, P2 and many other camera models with interchangeable lenses. 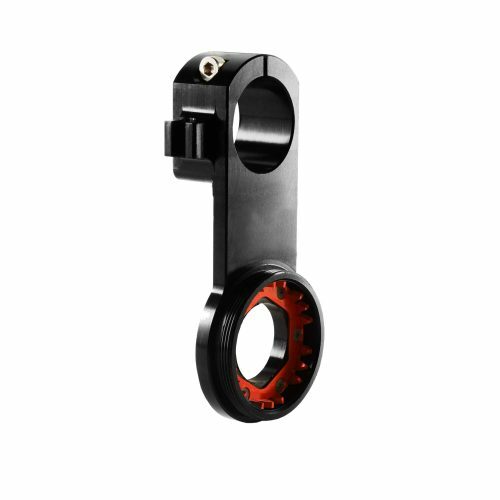 Made of solid anodized aluminum, the BP7000 is a perfect fit for Panasonic and Sony camera plates with its V-lock delta adapter at the bottom. Its improved design provides 3 slots on top of the plate for the user to work either in a centered or offset position (15 mm studio). 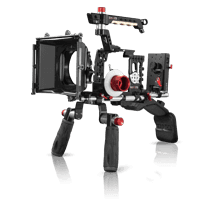  It should be used with cameras with an electronic viewfinder or external monitor. 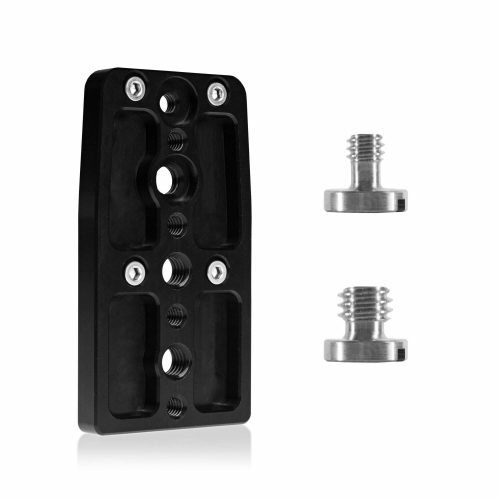 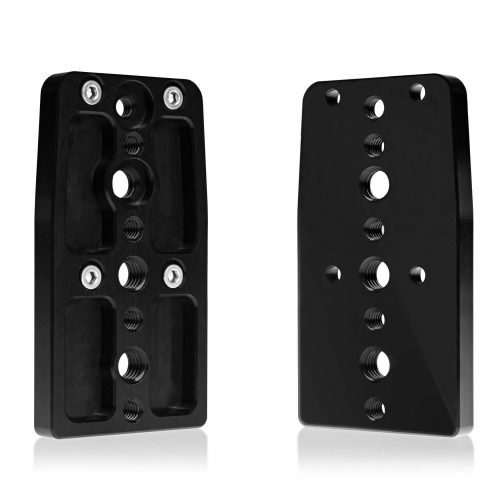 The base plate also offers 1/4″-20 and 3/8″-16 threaded holes at the back to attach accessories. 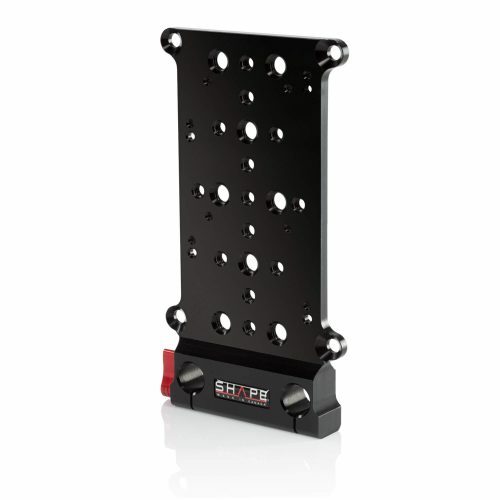 The front bracket now allows the user to adjust the height quickly with an Allen key. 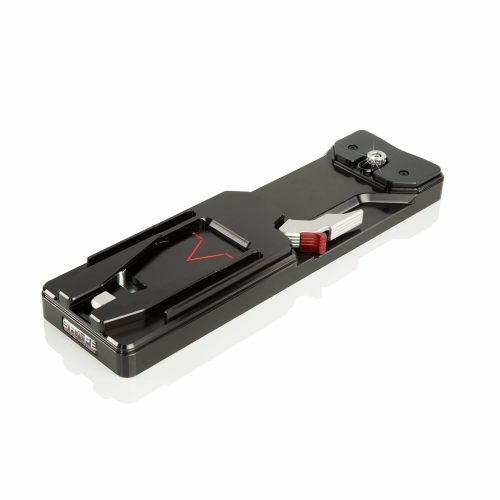 Attach the included SHAPE VCT Tripod Plate (VCTSH) to your tripod, then use the QR system for fast changes from handheld to tripod mounted shooting. 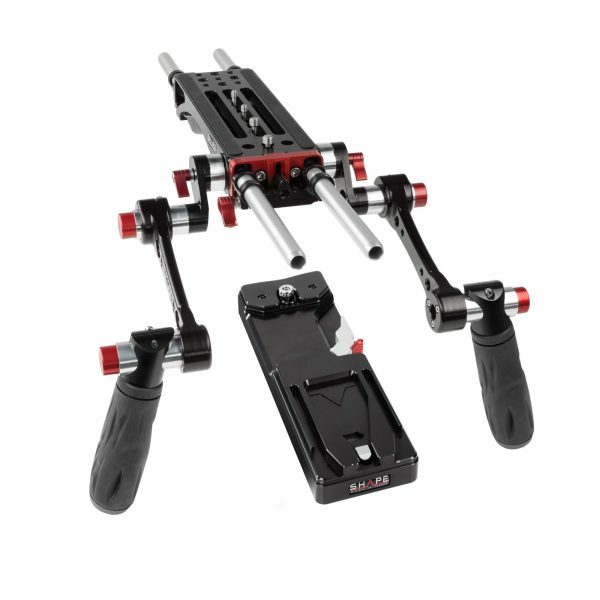 Included in this kit are the Double Quick Handle Rosettes, featuring two handles that can rotate individually on a 360° axis and a quick-lock button technology. 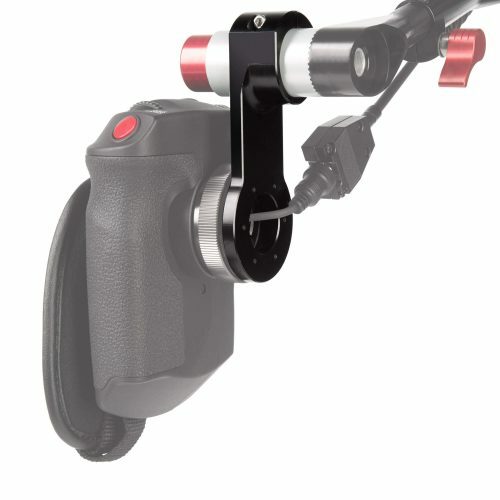 The handles and arms are rotated by pushing the red buttons-once the buttons are released, the handles are secured firmly in place. 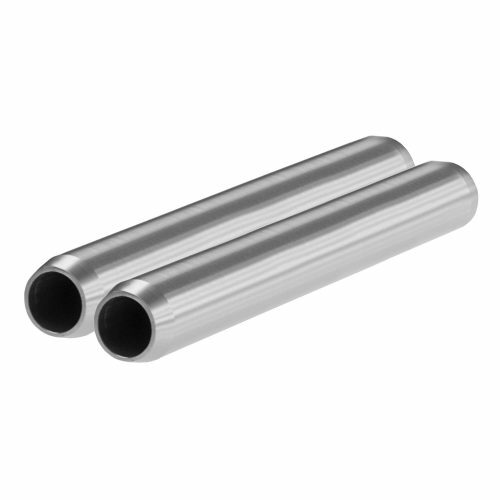 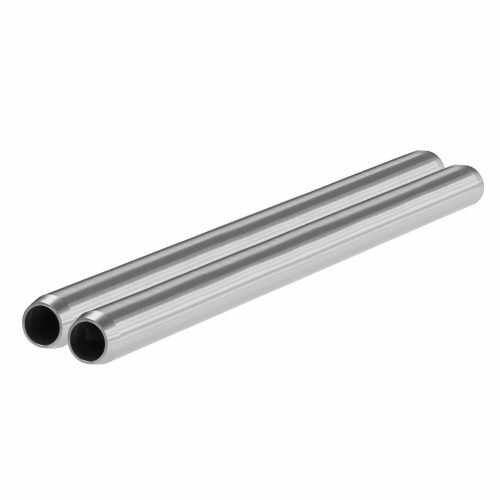 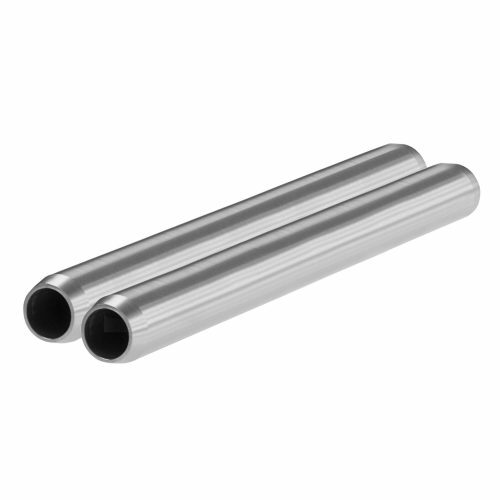 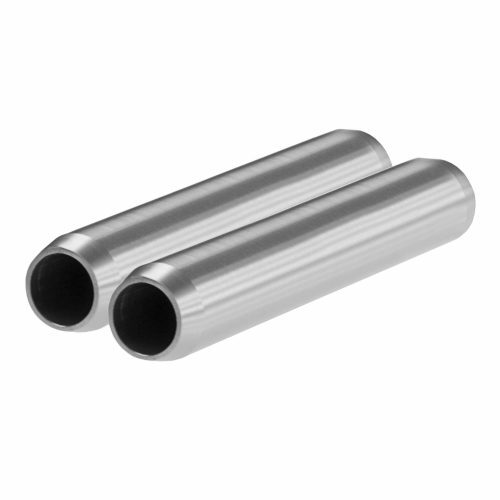 A stainless-steel locking mechanism is used for greater durability. 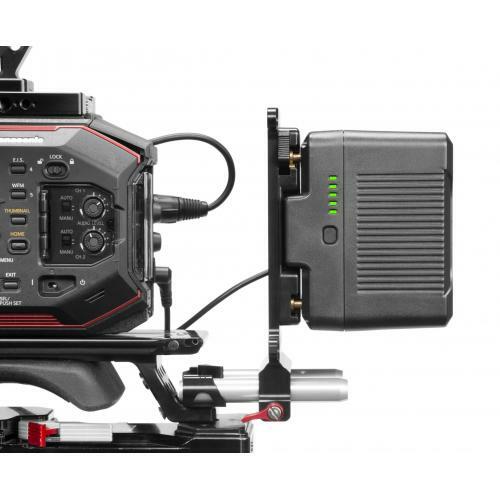 Providing a very solid grip, the Double Quick Handle Rosette fits perfectly on the BP7000 baseplate.